Sammons preston padded gait belt is lined with a soft, breathable fabric on the inside for a more comfortable fit. 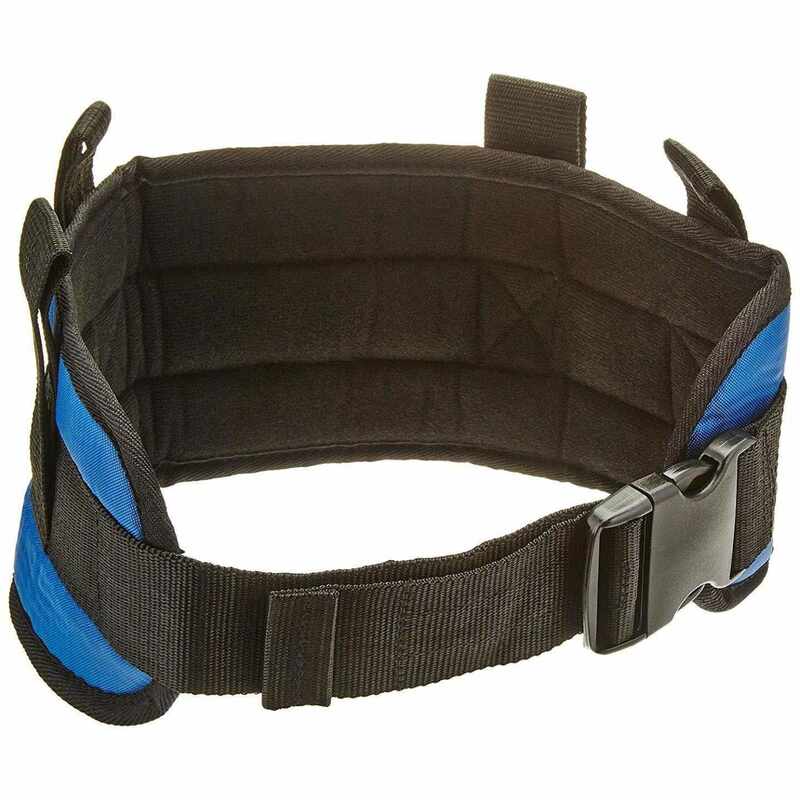 Padded gait belt comes with a side release buckle and hook & loop to secure the strap in place. Gait belt is designed with four loop handles spaced around the 5.5” wide belt and is color-coded for quick identification in the rehab department. Small Blue 24" - 30"
Medium Green 28" - 48"
Large Black 40" - 64"